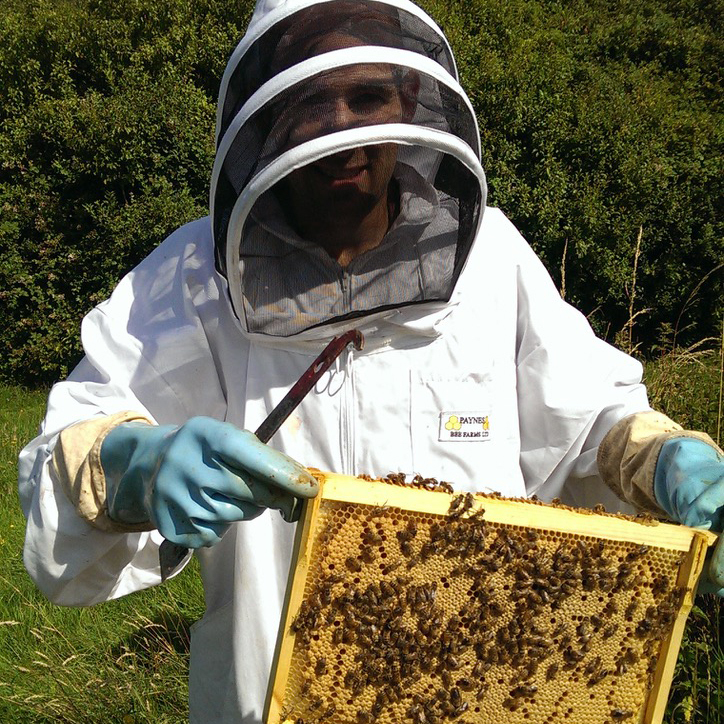 Think you might want to become a beekeeper? Just interested to see what goes on inside the hive? Well we may be able to help. Beekeeping is many things to many people. However it's not the cheapest of hobbies (especially if you get carried away like we have) and some people actually are not sure how they'll react when surrounded by a lot of flying insects with a sting in the tail. A taster session can give you an insight. 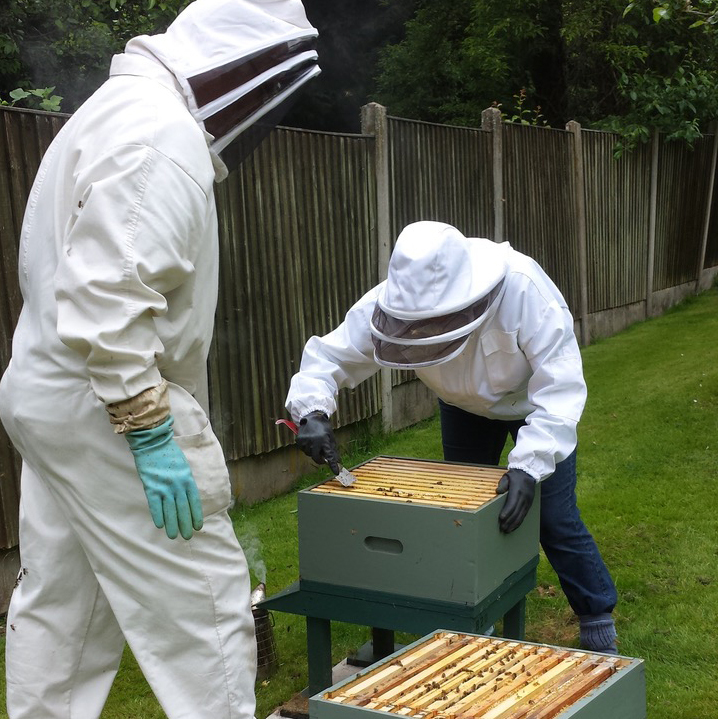 We have also helped people who are curious as to how a hive of bees works and what bees look like 'up close and personal', without any intention of ever taking up the hobby. 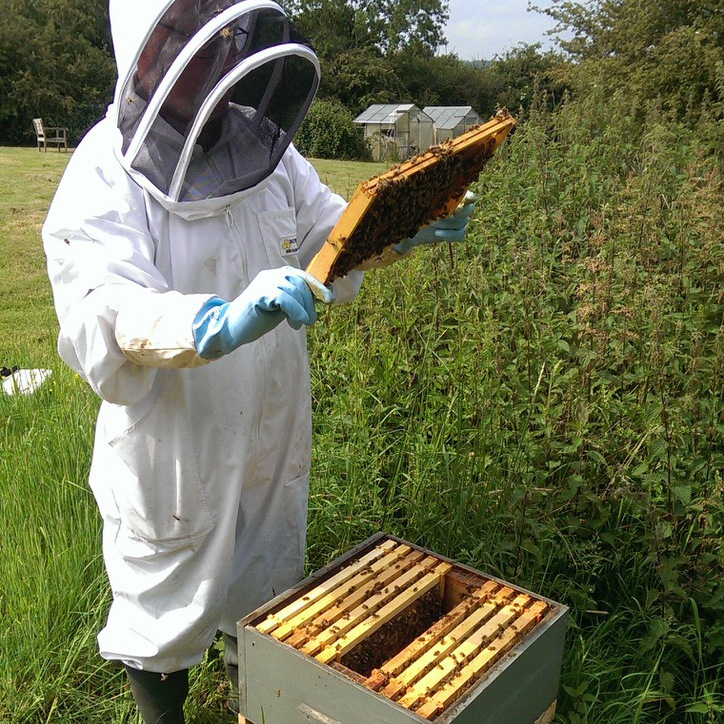 Even relatively experienced 'keepers find they can learn a thing or two by having access to a number of hives, each with their own idiosyncrasies (the colonies that is). 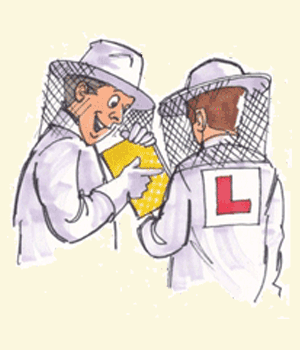 If this sounds like you then we offer a 2 hour one-to-one practical beekeeping experience to help you discover your inner 'beek'. This is very much 'hands-on' and doesn't involve just watching us. 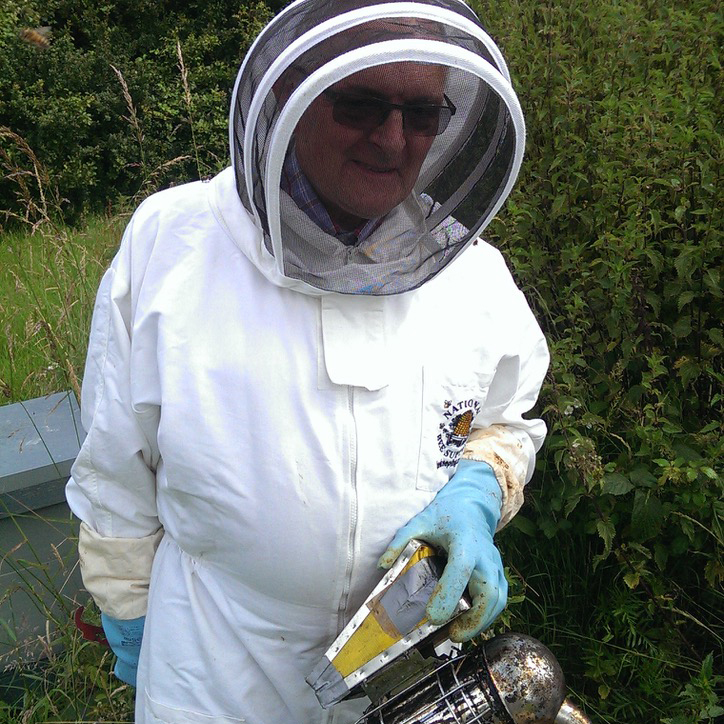 Depending on the time of the season, which for these purposes runs from May to July, we will introduce you to the kit we use, the bees and what we're looking for and the tasks that need carrying out at that point in time. 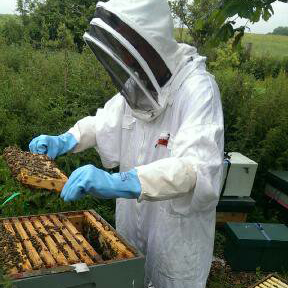 We supply all the protective kit you need, except stout boots or wellies, and you can join us at one of our apiaries. The 2 hour experience costs £50.00, with all proceeds going towards running and expanding our project.